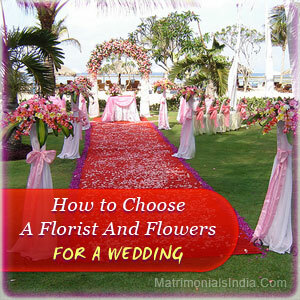 The selection of florist and flowers for your wedding day is a thing that has to be creatively planned beforehand. Before you visit the florist, be sure about the color and the style of the dress that you'll wear along with the color of the dresses of the family and relatives. The types of corsage preferred, the types of flower arrangements, site of the reception and its color theme are other things to be considered. Lay Your Hands On A Creative Florist A good florist can do a beautiful work while following your budget. This could be done by making use of seasonal flowers, by using greenery with the flowers, by minimizing the sizes of corsages and reusing the already used ones. A variety of sizes of flowers can be used in the bride's bouquet which could be of different shades or simply red/white. Care should be taken while selecting bouquets as per style of the bridal trousseau. For example, ethnic Indian dresses look beautiful when the bride is wearing a combination of red roses and white flowers where as formal gowns go well with the cascade, crescent and over arm bouquets. Go For Some Floral Innovations! While choosing the flowers for the wedding, talk to your florist about the varieties that you would like to consider. Whether it would include tulips, asters, violets, roses, lilies orchids etc. along with the fresh ones even the silk or dried flowers can also be put in use. You should also make arrangements for the doctor in various themes as per the type of flowers e.g. you can choose orchids for an exotic look or go elegant with wine red roses. You can also go for color contrasts for a multi-color theme. Flowers should be well refrigerated before the wedding day and if you can then put the bouquets in the water so as to keep the fresh till the last moment. Flowers when used in a creative way can add that extra glamour to the wedding so make sure that you choose the right florist who can make it possible! Very good website. Really nice blogs. This is really interesting, You are a very skilled blogger. I have joined your feed and look forward to seeking more of your fantastic post. 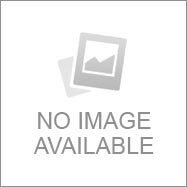 Also, I've shared your website in my social networks! In the wedding, All flowers should be in pink and red colors. Because these color represents love and romance. Very nice post.. This is the coolest website and stories that i have ever read, �its useful for me as i am a lecturer and always motivate my students with good stories. Thank you and waiting for plenty more!